antenna tuner circuit, and LPF circuit. A. PLL unlock (the transceiver only displays decimals). B. 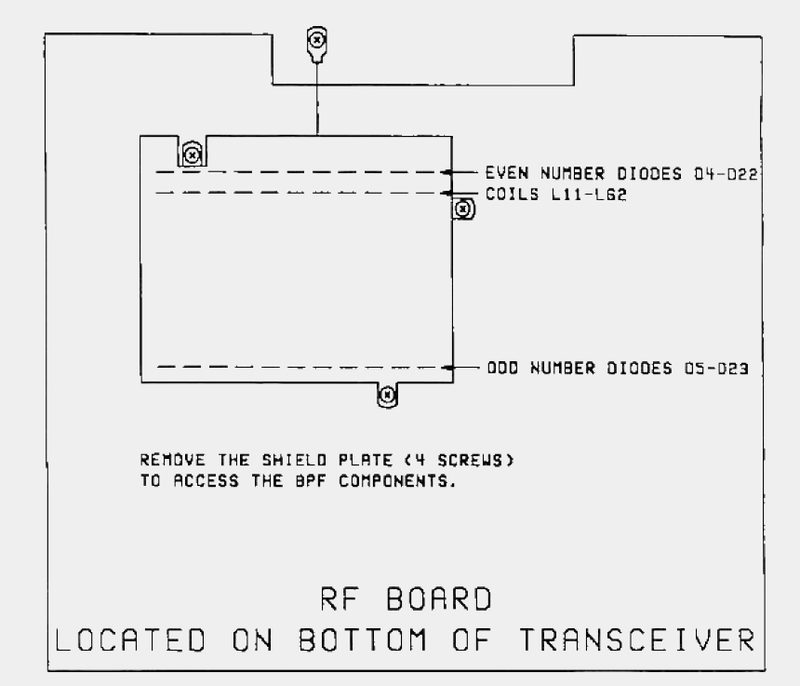 No antenna tuner operation. 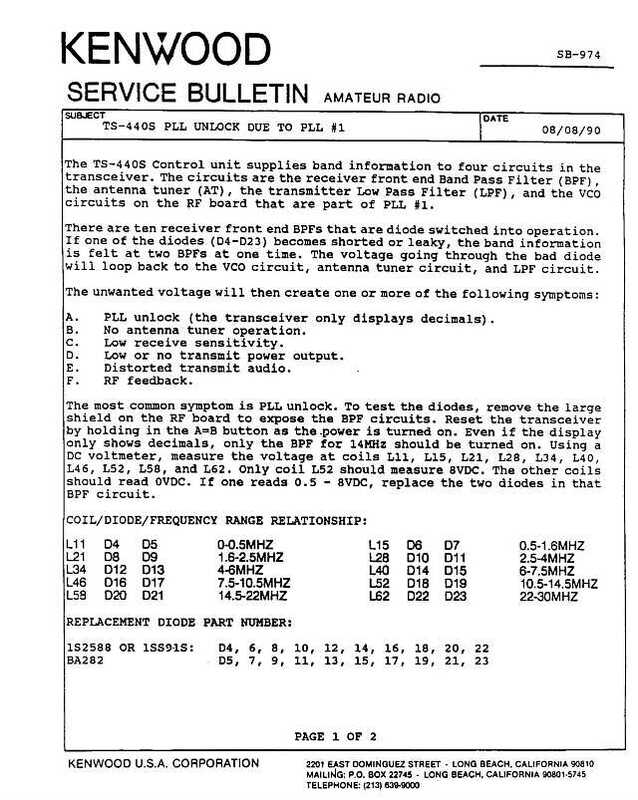 D. Low or no transmit power output. The most common symptom is the PLL unlock. To test the diodes, remove the large shield on the RF board to expose the BPF circuits. MHz should be turned on. Using a DC voltmeter, measure the voltage at coils L11, L15, L21, L28, L34, L40, L46, L52, L58, and L62. Time required to perform this modification is 1 hour or less.